Turning to the Dark side..
Now to decide on the colourways for the hall. 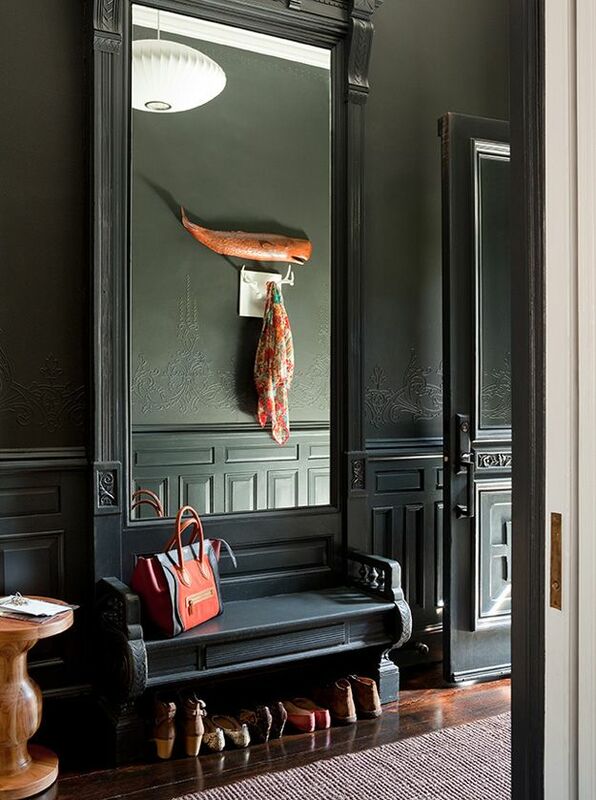 This isn’t my hall, just a picture for inspiration, but I know I want the woodwork to be dark, virtually black, except how far do you go? 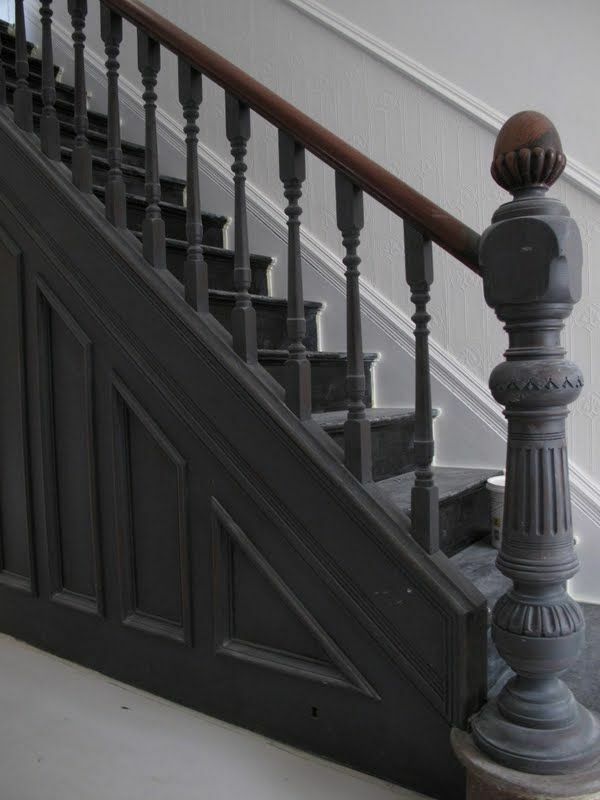 The newel post in this picture is epic, but I can’t help feel they missed a trick not painting everything that dramatic thundercloud grey up to and including the dado. Does that mean below the dado has to be dark as well? The radiator cabinet? It’s a dilemma.. 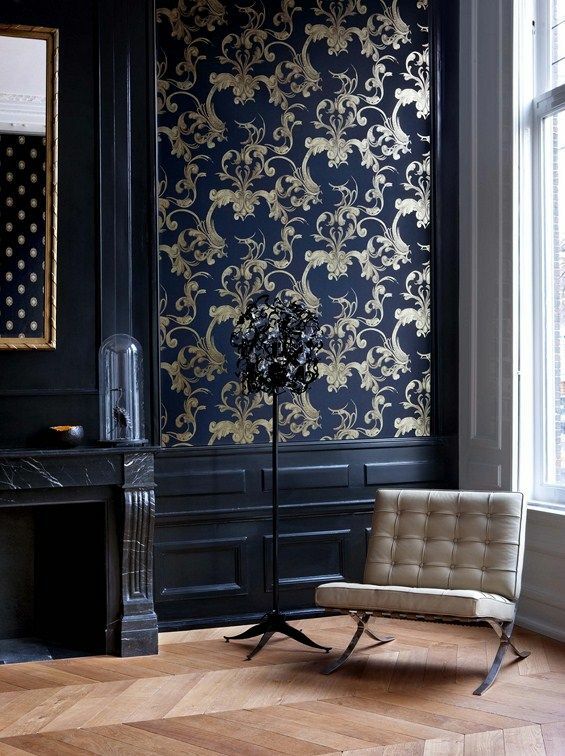 Although having it dark certainly makes wallpaper pop. And wallpaper is a cert. William Morris if I have my way, but not this one, though the black wood looks magnificent against it. A dark top half which directs the eye beautifully to the bamboo paper at the back. But it’s not what I want. 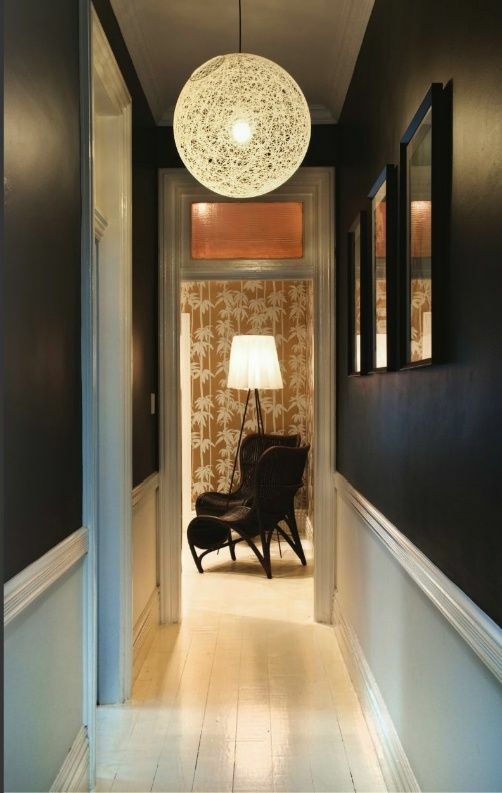 Dark all the way..tempting, except it’s leading into a dark room.. 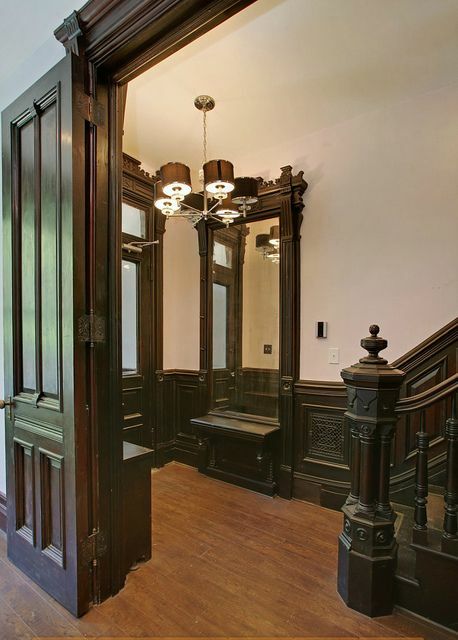 This is the closest picture to reality…and it’s got to be black all the way, up to and including the dado. Decision made. 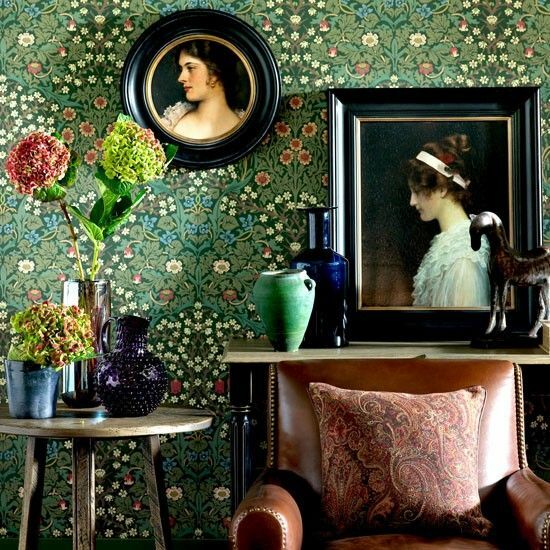 Now to choose the wallpaper.. I would never have thought of this (we are building a modern house) but I love it in older houses. Have you been to see the Handel house in London – it’s painted in deep Georgian colours throughout?